Home Does Milk Help Heartburn? Milk is an old-fashioned home remedy for acid reflux related heartburn. 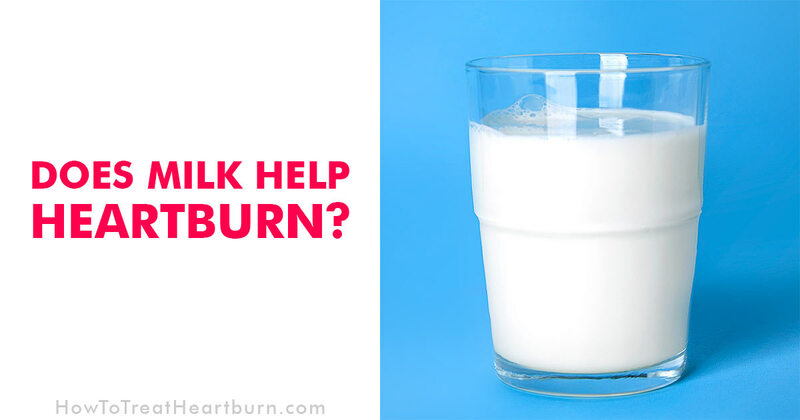 If you’ve ever sought advice for relieving heartburn, you’ve likely been told to drink milk. The benefits of milk as a natural heartburn remedy should be broken down into short and long-term relief. 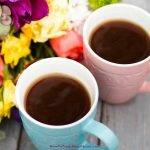 There is a difference when using milk as a remedy as opposed to other remedies. 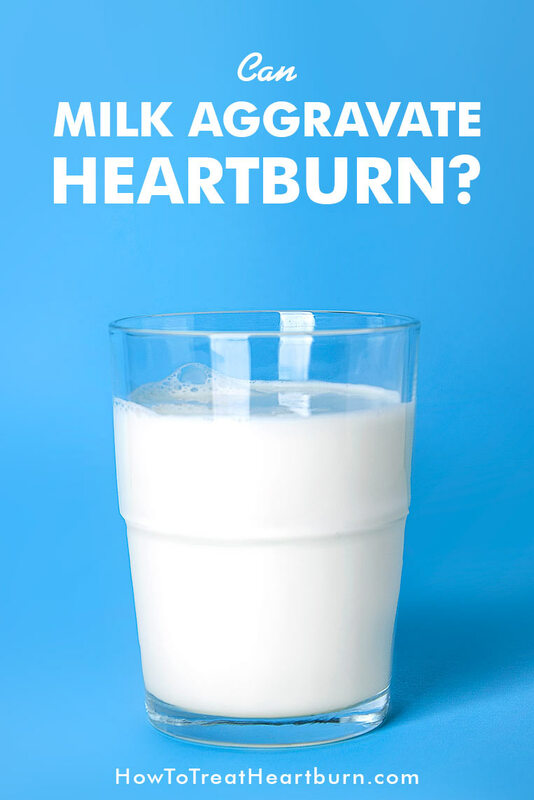 Does milk help heartburn temporarily? Yes. Milk can coat the esophagus and stomach to provide temporary relief from heartburn. Its barrier against acid is soothing but temporary. Does milk help heartburn long term? 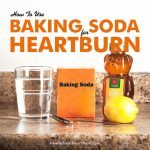 Heartburn is the pain associated with acid irritation of the esophageal lining. Stomach acid gets into the esophagus when it refluxes through the lower esophageal sphincter (LES). The LES is a ring of muscle at the base of the esophagus that closes after food is swallowed. It helps keep stomach acid and food in the stomach where they belong. When the closing of the LES is weakened, acid reflux occurs. Fatty food can relax the LES allowing acid to reflux through the weakened seal of the LES into the esophagus. The fat level in milk is sufficient enough to cause this weakening of the LES to occur. Pressure on the LES can cause its closure to weaken and stomach acid to reflux. Drinking a glass of milk adds to the volume of food in the stomach making this possibility more likely, especially after larger meals. Milk increases stomach acid production. Additional acid is needed to break down the fat, calcium and protein in milk. This increase in stomach acid can exacerbate heartburn. People often drink warm milk at night to promote sleep. If you suffer from chronic acid reflux, you should not drink milk before bed. 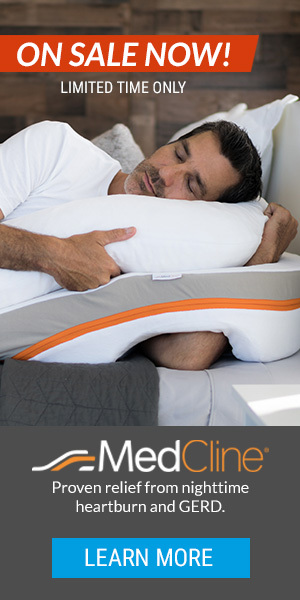 Fasting 2-3 hours before bed is needed to reduce acid reflux at night. Do Other Dairy Products Cause Heartburn? All dairy products can add to acid reflux symptoms. Cultured dairy products such as buttermilk, yogurt, and kefir can help reduce acid reflux symptoms by increasing good bacteria in the digestive tract but should not be taken when heartburn is imminent. The probiotics in cultured dairy products improve the function of the digestive tract thus reducing the possibility of acid reflux. Do Reduced Fat Dairy Products Treat Heartburn? Dairy products can be a heartburn trigger food for many people. We are all different and have different food tolerances. If dairy products cause you heartburn, low-fat options may be an acceptable alternative to whole fat dairy products. When treating heartburn, low-fat dairy products are less effective in coating the esophagus and stomach. They, however, would cause less acid rebound complications. 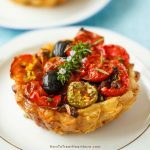 The lower fat levels would require less stomach acid for digestion. Does milk help heartburn? Yes and no. Milk can be good for immediate heartburn relief but heartburn is likely to rebound. 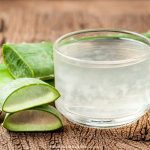 There are more effective natural heartburn remedies or OTC heartburn remedies than milk. The fat, calcium, and protein in milk can cause stomach acids to increase and the LES to weaken leading to acid reflux and more heartburn. 1) “Digestive Health Tips.” American College of Gastroenterology, (n.d.).